Facebook Group Launch Has Over 7000 People Join In A Week! We've had nearly 1000 people a day signing up to our Secret Group on Facebook. Bootnecks from around the world ready to find out more about the Club. Amazing to see the response. Thanks for your patience as we vet you all! 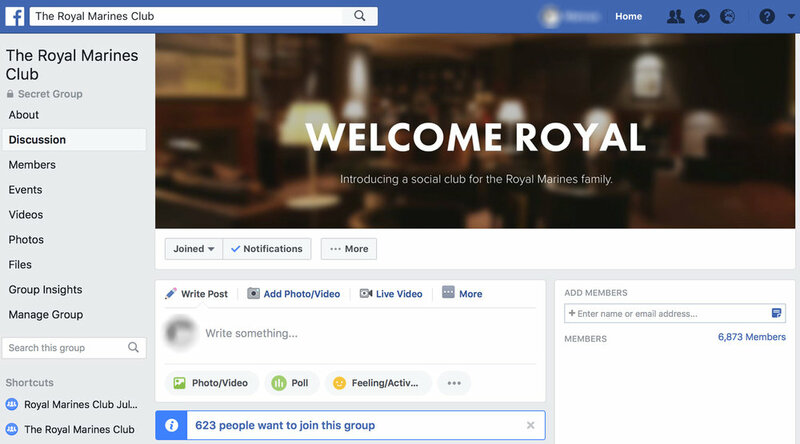 The Royal Marines Club is a registered charity in England and Wales (1157543). A company limited by guarantee. Registered company in England and Wales (8923290).